This is the moment we always dreaded and prayed would never come. The time when we have to say that sadly, despite her strength, positivity, determination and resilience, this wretched disease got the better of our dear, sweet, beautiful little Alice. It is a tragedy that we are not going to see any further blog posts that have kept us all so captivated and rooting for her whilst she soldiered on without complaint. She has inspired and amused during this ‘slog’ of hers and has touched the hearts and minds of all those that came into contact with her over the past months. Thank you all for your wonderful comments. She read every single one and was so flattered by the response to her writing. Against all the odds she managed to complete her English Literature degree from her hospital bed and I am sure you will not be surprised to learn that she managed to attain a 2:1. We were fortunate enough to be able to show her the certificate a couple days before she died. We are the proudest family for having had her in our lives for an all too short 21 years. But after a gruelling twelve months she is now truly resting in peace. I was the first doctor Alice encounter when she arrived at the JR last year. I was struck so powerfully then by her strength and courage as I heard her story, put in her first ever cannula, took her blood, referred her to the haematologists. She was beautiful, brave, witty, stoical – even on that first occasion. I have loved following her writing, as have all on Haem. Her words have demystified blood cancer, helped clinicians like me connect to what our patients feel but may not always be able to express, and given strength to countless others. I am so sorry for your loss. Your daughter was an exceptional human being. Goodbye dear Alice. I never met you but feel as though I did. Your bravery, humour and witty writing in the face of so much suffering has been inspirational and I will miss you. I feel gutted for your family and friends and send my deepest condolences. Rest in peace dear young Alice – may all the prayers prayed for you have guided you to the peaceful beautiful after-life we call Heaven – and although we never met darling girl, we have an 18 year old in that land and i pray you may meet up, and we will meet you both in the not too distant future – God continually Bless you. Amen. We feel really sad to read this this morning. Thank you Alice for sharing your brilliant blog, someone really soecial. As a doctor it reminded me to see things from a patient’s perspective. We are both swabbed for Delete cancer as a result of her blogs and I will encourage others to do the same. I don’t have the words, because there aren’t any. There is nothing about this that isn’t wrong. I’m glad I knew Alice, and got to read her wonderful blog. Deepest condolences tro her family and friends. I am deeply saddened by this news. Her blogs have been truly inspiring and she is an absolute credit to anyone who has faced a similar illness. Furthermore, she has reached out, touched the hearts of and totally inspired people of all ages through her magnificent words and her unique style of writing. Her words captivated the many who read her updates and she had a really great way of being able to perfectly describe her experiences. I feel lucky to have been able to read her blogs and to watch from afar as she touched the hearts of many. Alice, thank you so much for touching the lives of so many people through both inspiring and encouraging us to be so very happy even when times are tough, as well as being the best we can be. I have been reading your outstanding blog for a while now and it has truly helped me to overcome tough situations in my own life, and for that I can never thank you enough. All my love to your amazing family, I hope you have the peace you so desperately deserve. Rest in peace Alice. You were always so bubbly, funniest sense of humour and always put a smile on my face. You were so strong and have definitely inspired us all to think and live differently, just like you did. Sending my love and prayers to you and your family. So so sorry for your loss. Although I only met Alice when she was a little girl , I have learned so much from her blog, a truly talented and special girl. Thinking of you all and sending my condolences at this heartbreaking time. Alice you were clearly a remarkable young lady and we are so very sad to hear the news we all dreaded hearing, even those of us who did not know you personally. Your blogs are fabulous – they have always left me with a great whoosh of positive energy and I have frequently said that everyone should read them! Rest in peace little one; you gave it your all and you are an inspiration. Alice, I grew to love and respect you through these blogs … You are a very special lady and have left a wonderful legacy which will be cherished. Alice, thank you for being so warm, witty, friendly and truly inspirational. I have followed your blog avidly as you penned with extraordinary ability in your unique style the progress of life with MDS. My heart goes out to your nearest and dearest whose support and love shone through you so clearly. You have inspired me along with many many people through your blog and I was truly blessed when I sat by you for my first transfusion. Thank you always for sharing so much of your wit, humour and hope. So sad the read this today. I knew Alice as I live in Launton and she joined us in the panto. She was also in our thought while dancing in Strictly Bicester this year. My heart goes out to all her family and boyfriends family today . She was such a lovely girl. I have been following Alice’s blogs over the past few months; inspired and in awe of her honesty, her spirit and her strength. Such sad news to see today, as a family you must be so proud of her. My thoughts are with you all today. So sorry to hear such sad news. Your Amazing Alice, inspirational and brave. such sad news. All I can offer is deepest sympathy for all her close family and many friends. Her “online” acquaintances will mourn her. She has been an inspiration. Like many who have commented before me, I have never met Alice but have grown to love this brave, witty and inspirational girl. She touched the lives of so many with her blogs and the world is a darker, poorer place without her. My heart goes out to her family and friends. I’m so sorry to read this terrible news. I’ve followed Alice’s blog since the start and, as an MDS patient, have been hugely inspired by her outlook and the way she faced her considerable challenges head on and with humour. I have no doubt that many other lives will be saved through those that she encouraged to join the register but her legacy will be far greater than this through the lesson in bravery, dignity and humility she has given us. RIP brave girl. My thoughts are with family and friends at this very sad time. Alice was a shinning star and always will be. I followed her blog and just fell in love, her writing was beyond brilliant, her honestly was powerful and the fact that she touched so many hearts, both those who knew her and those of us who never had the privilege to meet her in person, speaks volumes about a beautiful, brave young woman. The news is devastating – for family and friends. Alice was such a lovely person and such a talented writer. It’s clear her words have inspired others to get involved, to cope, and hopefully reduce some of the fear, that surrounds cancer. I lost my wife to cancer three years ago and at that time I found another blog, that of Ali Booker – http://www.alibooker.com/ unbelievably helpful – sadly, she too lost her battle but I’m sure she helped many, many people, as has Alice. I will miss her and her writing terribly. We must continue the fight to find a way of combating cancer, there are plenty of hopeful signs but we mustn’t weaken our resolve – talented young people, middle-aged people – dammit people of any age should not have to have their lives ended this way. We are so very sorry for your loss. This blog was a quite amazing account of a life lived so well in such terrible circumstances. It is the only thing I’ve ever read that makes me laugh and weep in equal measure. She was an extraordinary person and had an extraordinary talent. So sorry for your loss. I never met Alice, yet first heard about her from my sister and have followed her blog for a while. What an amazing young woman, showing so much strength and determination. I will miss her humerous way of writing about the most awful of situations. Thinking of you all. Condolences to you all. A special family. Hugo, your tribute was beautiful – thinking of you. I am so, so sorry. She seemed like an incredible person. My thoughts are with you. Unfortunately, I didn’t have the pleasure of knowing Alice or the family. I just saw this blog post through the Anthony Nolan site and it really touched me. My parents and I had to write a similar blog post for my brother 3 years ago, after he fought ALL for 3 years. He too wrote a blog throughout his treatment and it sounds to me like both he and Alice were very similar, both positive and fighting every step of the way! I’m sure you’ve heard this many a time, but your daughter was a fantastic, positive person and probably an inspiration to many more people than you realise. I am so very sorry that this horrible disease took another amazing young person. I hope my brother looks out for her up there and they can show some Angels how to inspire the world! I hope you don’t mind a complete stranger commenting on your blog, I just wanted to saw how amazing I think your daughter was. I have followed Alice’s story for the last year and although like many others on here I never met her, I was so desperately sad to read the final chapter this morning. I have always been so inspired and humbled by her courage and humour during her treatment and her determination to remain true and honest to herself throughout. What an amazing daughter you had!. I am so sorry that she is no longer with you all but how proud you must be of her, your son and other daughter. An absolute credit to you all. My sympathy and prayers are with you at this sad time. Rest in peace Alice God bless. 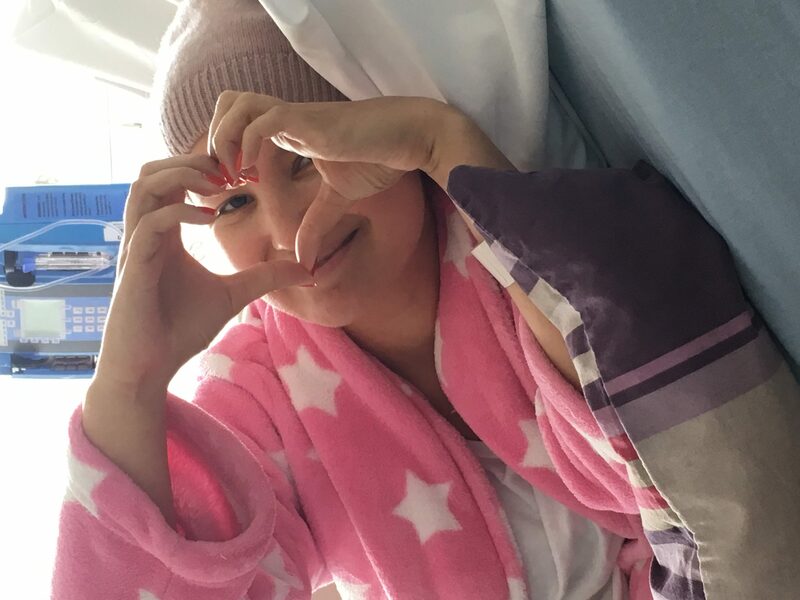 I’m so sad to hear someone passing so young, on the 25th 17 year old Izzy Doherty also passed away from cancer (Izzy D cancer is not me – is her blog). It is a cruel cruel disease, and I have so much respect for young stars sharing their story. I truly hope she found strength and support from her blog responses the same way she gave her readers enlightenment and hope. Sending love and strength to you all at this devastating time. Alice has inspired so many with her eloquent, funny, brave, painful, searingly honest blogs. So many of us never met her but were moved to tears, filled with laughter and inspired to live better lives because of her bravery facing such a terrible illness. with love from us all. Like so many others have said your blog has been an inspiration. Your humour, courage and determination will be a valuable legacy both for those still struggling with their own journey with cancer, your family and friends and those of us who followed your journey but did not know you. My thoughts and prayers are with your famiky and friends. Rest in peace. Just the most heartbreaking news. I, with many others, had the privilege of Nursing Alice when an inpatient. She should have won a prize for the best decorated hospital room! She was bright and chatty,especially on our night shifts when you knew you had to see her last as you would be in with her for hours+ chatting and ‘gossiping’ (particularly about the Doctors was her favourite!). It was like having a girlie sleep-over with her not just Nursing. She was just a perfectly normal,bright and caring girl burdened by the ‘C’ as she would say. In Healthcare we come to work and carry out our tasks but it is people like Alice that remind you why you are there,why you love the profession so dearly and most importantly,that there is a person behind the disease. Her blog is a huge testament to that fact and served to remind us all of that. So proud for her that she finished her degree and what an achievement; mostly whilst ill or an inpatient. She is a credit to her family. Truly, truly saddened by your loss. Rest in peace lovely Alice. I never knew Alice but her writing was amazing and I’m so happy that she achieved such awesome results in her degree. My prayers are with you and others of her friends and family. She will never be forgotten. Rest in peace. Few words for someone who’s amazing words touched so many . Peace to Alice. A beautiful, vibrant, funny and intelligent young lady has been taken so very much too soon. Family, friends and the world have been cheated of time spent with Alice. Her witty blog has clearly amused and informed so many whilst inspiring those who knew her and those who did not. We feel very honoured to have known and spent time with her. A truly amazing and talented young lady who has left this world and is now gifted in the next. Literally. So incredibly sorry for your loss. Alice seemed like a truly wonderful, beautiful and most of all inspiring woman. Her words were powerful and touched so many of us. So very, very sorry for you all. Alice was so brave and her writing is truly inspirational. Thinking of you all at this tragic time. May she rest in peace. I’m so sorry. My deepest condolences to you all. I never met Alice but have been following her blog for a while, and found it both humbling and inspiring. She was clearly an amazing young lady with so much to live for. It is so utterly cruel that her life has been cut so short. What a talent, what a force. I feel so sad. Your wise words will live forever and help others going through this. Knowing that you’re not alone is so important and I want to say thank you thank you thank you for your incredible blog. I hope you’re resting easy. Such sad news. We send our sincere condolences to you all as a family, and to Alice’s friends and boyfriend, at an unimaginably difficult time. Like many others, we didn’t know Alice in person but have been thinking about her all day. We followed her blogs & twitter since last summer and were touched on many occasions by her wonderful writing. She had a way of wording things that made her personality shine through. It was very clear that she was just ‘one of us’- a normal young student, who was thrown into a horrible situation that no-one should ever have to deal with, never mind at 21. Because of that, we, like so many others connected with her writing very easily. She seemed like such an incredible, witty and strong girl, & we’ll do our best to make sure that a bit of her legacy is kept going across the Irish Sea. When we’re holding donor recruitment events, and we’re maybe running out of enthusiasm late in the day, or maybe hesitant about approaching someone to ask them about joining the donor register, we’ll try to think of Alice, and what she would want us to do, and no doubt that will recharge the batteries and remind us to never stop putting our hearts into this work. This October when our new volunteers arrive, we’ll share Alice’s blog with them in the hope that they too will be moved and inspired by her words. We have silently followed her journey without knowing her, or you, and have been touched by her words, her bravery and the evident support and love of you, her family. I can’t believe I have only just come across this wonderful and courageous blog. A little to late I thought… But perhaps not. Today I will sign up to the over 30 donor register and will make sure I make my next blood donation. You never really lose someone if you take what you admired about them the most and put it into your everyday life. Change because of them and their legacy lives on. I didn’t really know Alice, but she was at Akeley Wood School with my daughter and I followed her blog. Such a beautiful girl and talented writer. I am deeply sorry for your loss. I am a stranger to Alice, but I have followed her blog avidly from the beginning, and I was utterly devastated to discover this final post. Despite never knowing her, I have been touched by her true bravery, resilience and never ending wit. Her posts have made me laugh, cry, and have been a source of inspiration to myself and to many others. It takes a truly special individual to be able reach out to so many people, and her spirited and wise words will forever live on and be influential for many more to come. My deepest condolences to her family and friends. Her light will forever shine on. Thank you Alice, and rest in peace. Such heartbreaking news, what a brave, honest, and brilliant girl Alice was. Her passing is truly a loss to the world. Sending enormous love to her family at this saddest of times. Alice was truly inspirational, such sad news. My thoughts are with all her family & friends. Alice was known to my daughter Rebecca, they attended Bear Necessities together and were recently in touch again 18 months ago through mutual friends of theirs. We have read Alice’s blog and been touched by her writing, it is captivating and influential. This is utterly heart breaking news. I am sure there will be numerous donations of ‘spit’, blood and marrow in memory of her. Our thoughts and prayers are with her family, boyfriend Matt and friends. I’m deeply saddened to hear this news. I taught Alice in her second year at Cardiff University. She was bright and lovely. I’ve just been reading back over some of her creative writing and she had talent. I am so sorry you have lost your lovely brave girl. I’m glad to have known her. With love. Like many other I only knew Alice through her blog. Beautiful writing. So very sorry. We never met Alice but she will always be remembered by us as a truly remarkable young lady who fought so bravely. Her legacy will be her eloquent writings which we are sure will be an inspiration to others. Our hearts go out to her loved ones. Alice’s writing was a true gift, so moving, honest and heartfelt……it’s hard to forget someone who gave us so much to remember. To Sharon, Sophie and the rest of her family, I send my love. I am so sad to hear this news. Alice was truly inspirational and will be much missed by her family and online friends she has made – but her words will live on and help others fighting this battle. Our sympathy and love to all her family. I am still fortunate enough to read your blog even now,I am so glad to have known you through your blog. Best love to the rest of the Family.